Casinosupply.com has been manufacturing professional quality blackjack layouts / blackjack felts for years. Our high quality blackjack layouts are used in several major casinos across the globe. 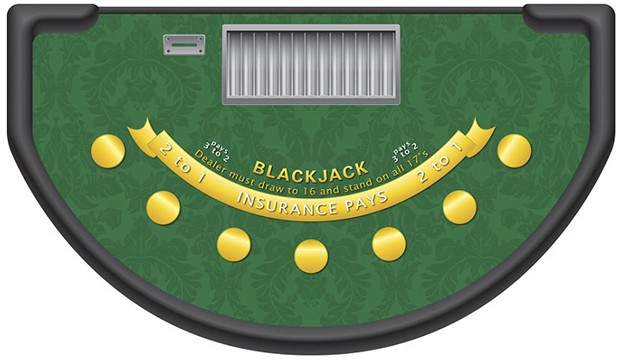 Our stock green blackjack layout design features seven player spots, a traditional insurance ribbon with Insurance Pays 2 to 1, Blackjack Pays 3 to 2, and Dealer must draw to 16 and stand on all 17's. 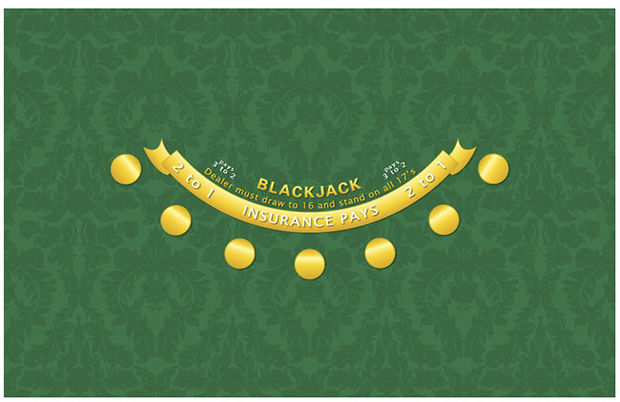 We can quickly and affordably print custom blackjack layouts to meet any needs.